For the first time ever in Ukraine, we welcome the world-renowned teacher trainer and materials developer Amanda Davies. If you are a primary ELT teacher we’d love you to join us in one of the cities for a practical and entertaining teacher training session! Tasks and activities to get your students flying high! The time and the venue details will be sent together with your ticket. Fly High Ukraine 1 Pupil’s Book and a poster. We look forward to meeting you at one of the cities! Your Dinternal Education and Pearson teams. Primary children learn in a multitude of ways, which is why we need to have great variety in our lessons and encourage children to study using their whole bodies through a holistic approach to learning. Coursebooks are jam packed with all sorts of interesting tasks and activities, but in order to develop the whole child we busy teachers need to have plenty of tricks up our sleeves to maximise our students’ learning. In this session, we’ll look at how to build on coursebook material with tried and tested activities which are sure to get your students using English naturally and thoughtfully, while at the same time having plenty of fun. 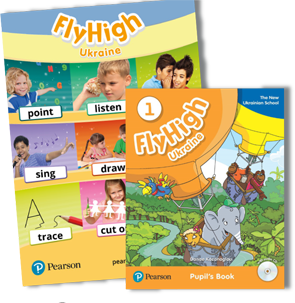 We’ll be using Fly High Ukraine 1 in this practical session. 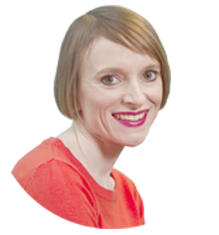 Amanda is an experienced teacher, teacher trainer, materials developer, author and editor, who has also worked extensively in Primary ELT academic management. She’s passionate about young learner teacher professional development and regularly presents at conferences, writes articles and blogs, and trains teachers both face to face and online. She also works as an international educational consultant advising on young learner foreign language learning programmes. She’s worked in the UK, Russia, Spain, Lebanon, Egypt and Turkmenistan, and is now based in Poland. Amanda is the publications editor for the IATEFL Young Learners and Teenagers Special Interest Group.